29th August – Despite the outdoor track season drawing to a close, PACE athletes are still showing good form by winning races, setting personal bests and seasons bests in their respective races. 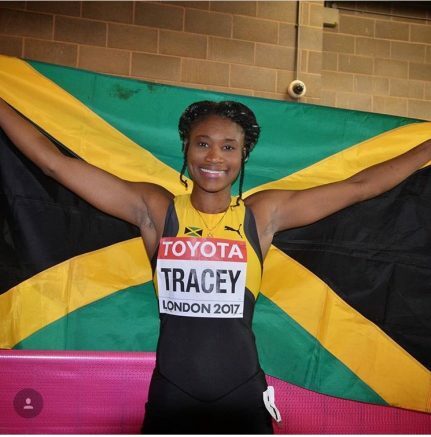 In Rovereto, World Championships bronze medallist Ristananna Tracey (JAM) was a convinving winner over the 400m hurdles. Rista stopped the clock at 54.58 seconds, nearly a second clear of the runner-up. British duo Perri Shakes-Drayton (GBR) and Andrew Osagie (GBR) both ran seasons bests. Perri was second in the 400m (52.19 seconds) and Andrew sixth in the 800m (1:45.54). At the IAAF World Challenge meeting in Zagreb, there was a huge PB by Winny Chebet (KEN). Having chosen to focus on the 1500m this year, Winny has not run many 800m races but here she went down in distance and finished a very credible second and took over a second off her old PB to run 1:58.13. A time that puts her top of the PACE all time rankings over the distance. Dina Asher-Smith (GBR) continues to make up for missing much of the early season and took second place in the 100m. She was closely followed by Schillonie Calvert-Powell in fifth. One athlete who has earned an end of season break is Bethwel Birgen (KEN) as he ran his eighteenth race of the year, finishing by taking sixth place in the 3000m.